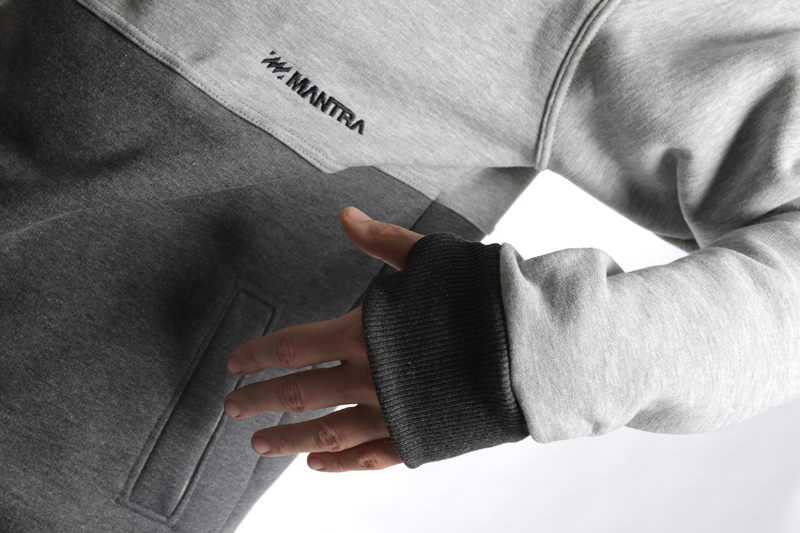 MANTRA Split LTD is "Re-Edition" of our Split Hoodie. 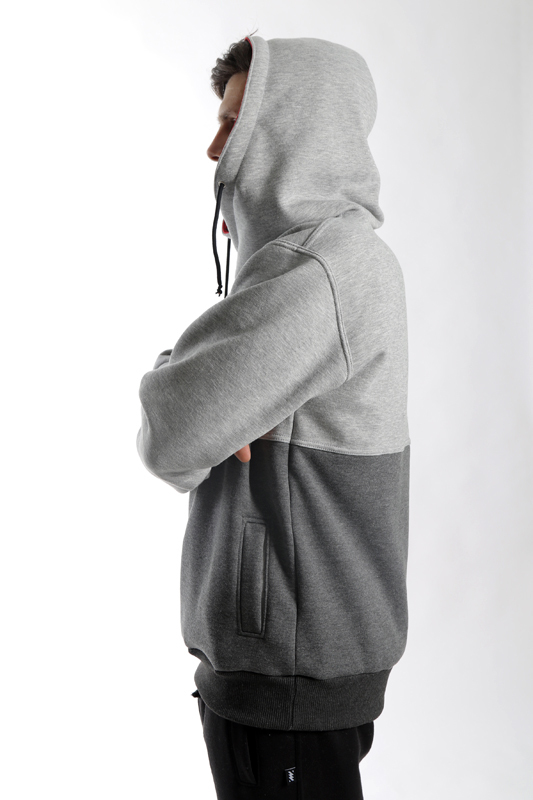 Two Toned Hoodie made from a blend of premium cotton and polyester, we used an improved version of Regular.Cut (same cut as we used in Spotted Hoodie, LTD016, Everyday, Split…). 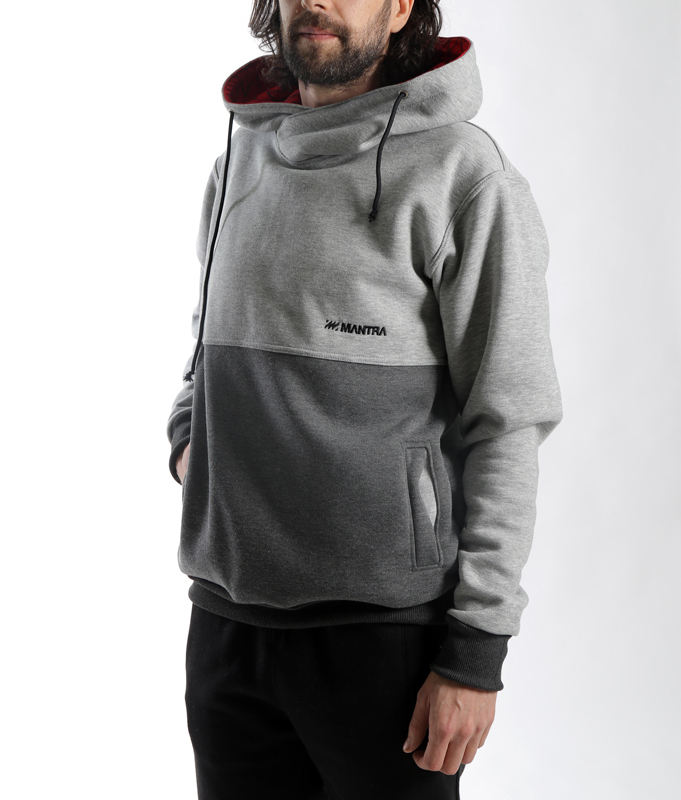 There’s a whole new and bigger hood, two front pockets are ready for everything you need to carry and at the end of the sleeves you have thumb holes to keep your hands, warm. 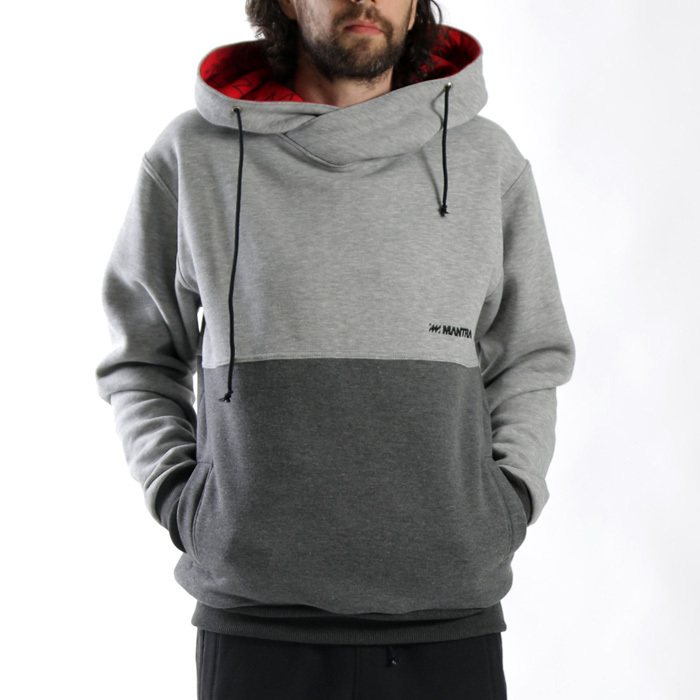 Hoodie features contrasting inner red linning, while Black/Gray details bring this piece to a cohesive finish. Part of MANTRA XIII LIMITED product line. • Thicker Cotton (300 g/m²). •	Rib on the cuff and bottom. •	Pattern printed Red lining.